Note: We are currently no longer booking Shakespeare in Action Workshops. Explore the latest exhibition and the Folger's historic spaces including our Elizabethan Theatre. Bring the Folger Method to your classroom! Forsooth! is our online teacher community where you can find resources, lesson plans, and professional development opportunities (locally and online). Join the Folger family, get access to even more resources, lesson plans, and exclusive professional development opportunities on Forsooth!, along with discounts at the Folger Box Office and Gift Shop. Folger Education knows that the best way for students to understand Shakespeare’s language is to play with his words. Our Shakespeare in Action workshops are interactive and lively learning programs that give students the opportunity to participate in our nationally-recognized active language learning techniques. 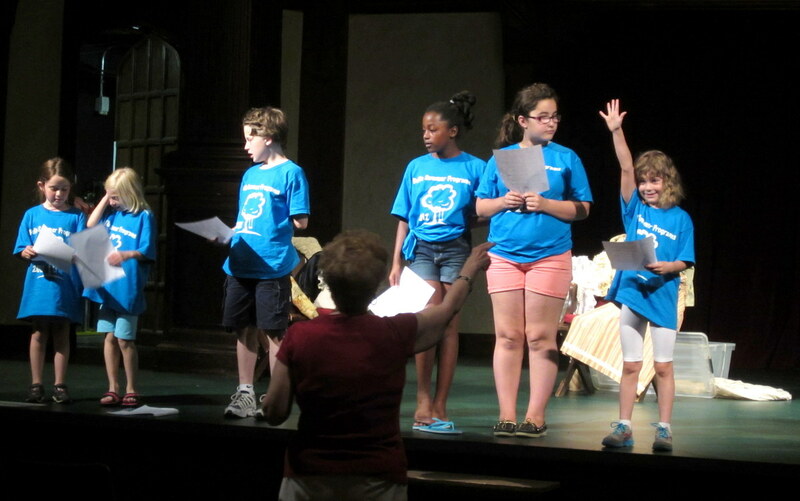 Workshops take place in the Folger’s Elizabethan Theatre or in our audition and rehearsal space. Each workshop is tailored to the needs of the student group and led by a team of Folger Docents. The workshops are designed for classes or groups of students from 1st to 12th grade. Use performance-based learning to unlock the language of Shakespeare's works. There is a $100 fee per workshop. We can provide a free tour before or after your workshop. If you have more than 60 students, please consider booking two workshops as we cannot guarantee that every student will get a chance to get on stage/participate. We are currently no longer booking Shakespeare in Action Workshops. For more information or to book a workshop, contact Kate Long at klong@folger.edu or (202) 675-0316.